Winner of the ‘US Golf Association’s Herbert Warren Wind Book Award and the British Golf Collectors Society’s Murdoch Medal, one of our most prominent and successful golf writers returns with a decidedly different approach than his previous historical works. 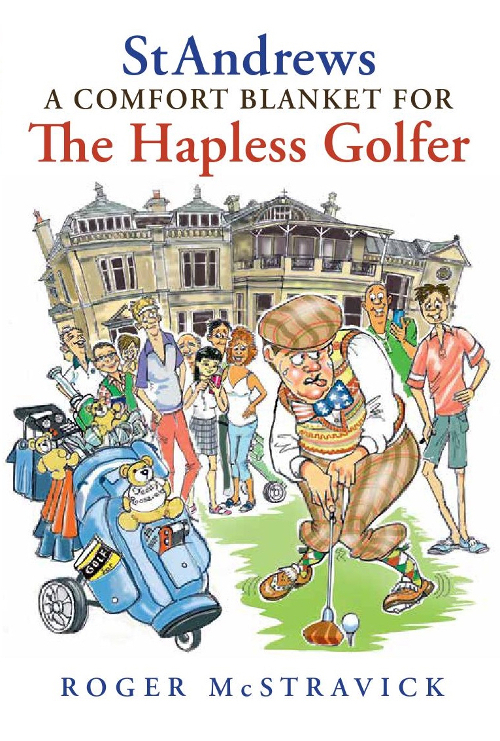 In St Andrews – A Comfort Blanket for the Hapless Golfer, Roger proves himself to be – yet again – not only a fine writer and storyteller, but a witty and amusing companion to all things golf and the Old Course. Whether you’re new to St Andrews, or whether you’re a long term resident, this is destined to become the authoritative work of comedy and companionship to our beloved town. The evening is an excellent chance to share in the expertise of a local author, and is certain to be at once informative, amusing, and engaging. We invite you to join us for the launch of this new work from one of our finest local authors.